“It is a difficult Florida grapefruit season. A while ago, hurricane Irma caused a lot of damage. This force of nature had a significant effect on grapefruit production. There is little supply, which means prices are excessively high", says Cédric Geens of the Belgian wholesaler, W. Jonckheere. 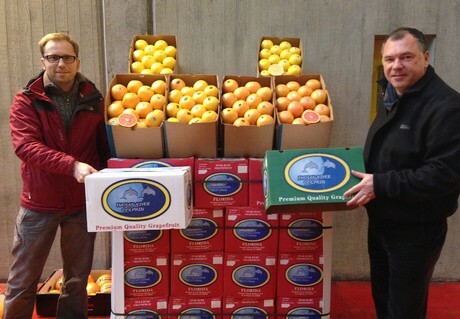 “Spanish citrus sales are doing their thing. It is not a spectacularly good market, but sales are going very well. In contrast, prices are on the low side. This is due to the large volumes that are on the market. Currently, Spain, Morocco, Egypt, Italy, and Turkey are all on the market together. “January is, traditionally, a difficult market. Retailers and, especially the market vendors, are working at a slower pace. This is because of the winter weather experienced over the past few days. The recent festive period was also not how it usually is", he continues. "The younger generation lives differently to the older one. Eating together is less important to younger people. This change is also reflected in the sales of products we usually see sell well over this time of year. We have also noticed that Belgian supermarkets focus less on the festive season than they did in the past." The first few months of the year are considered to be an interim period for work. Despite this, the company is preparing for the time when large volumes of overseas products will be brought in again. "When the Spanish citrus near their end, Morocco and Egypt take over. Then, the overseas products such as melons, grapes, and exotic fruits, gain the upper hand", concludes Cédric.